STUDY. The Woman on the Beast. John the Theologian, author of the book of Revelation, can not openly say that the Roman Empire was mounted on Satan uses the figure of the woman on the Bestia. The woman is none other than Europe, unified today in the EU, accounting for resurgence of the ancient Roman Empire. The Beast is a system of government that will impose the New World Order. 1. The 1st Beast (Dan. 7.4) is a description of the sphinx represents Assyria and the Assyrian Empire which dominated the Middle East between 813 and 609 a. C.
2. The 2nd Beast (Dan. 7.5) the Bear of the Medo-Persian Empire (559-530 BC) This empire smashing three kingdoms to arise (three ribs): Lydia, Babylon and Egypt. 3. 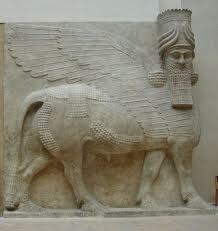 The 3rd Beast, the leopard with four wings and four heads, refers to the Greek Empire. Alexander the Great conquered the known world in just twelve years (323 a.) Before dying, divided his empire among his four generals (the four-headed winged leopard). Ptolemy in Egypt, Seleucus in Syria and Babylon, Cassander and Lysimachus Thrace Macedonia and Greece. 4. The 4th Beast was the Roman Empire (Daniel 7.7) 27 BC - 476 d. C.
The story then contemplate a great attempt between 1939 and 1945 in the 2nd World War, where Adolf Hitler who wanted to resurrect the ancient Roman Empire and impose a government that lasted a millennium. Thank God he failed. Satan will try again and this time will be successful, although very little time: Jesus will win again. The latter refers attempt prophecy of Revelation 13. Then we have The Beast is a system of government that will impose the New World Order. In Greek mythology, Europa (egr. Old: Εὐρώπη Europe) was a Phoenician woman beautiful. 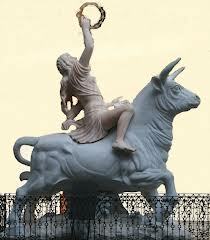 The myth says that the god Zeus, who wanted her sexually, in order to possess concocted the following strategy: It turned into a beautiful white bull, mingling with the cattle that grazed near where the beautiful girl playing with her maidens. 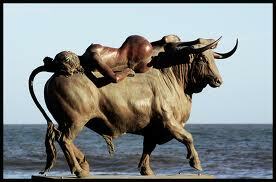 While Europe and his entourage picking flowers near the beach, she saw the bull, caressed his sides and, noticing that he was meek, sat on it. Zeus took that opportunity: he ran to the sea and swam to the island of Crete leading Europe in the back. Already in Crete, Zeus revealed his true identity, and Europa became the first queen of the island .